This foam ring buoy adds safety to any pool area. Its soft surface will withstand years of sun and weather. No pool should be without its own emergency life saver bouy. It only can be used at swimming pool; NOT for lake, river or ocean . This production has to be used under an adult supervisor. 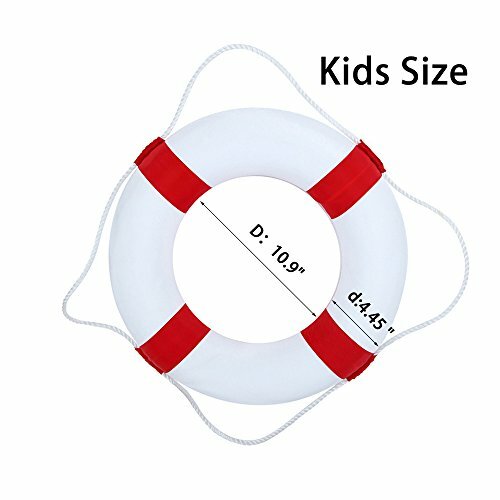 Safety foam life preserver ring for kids adlut ,high quality firm poly-foam . It only can be used at swimming pool ; NOT for lake, river or ocean . Child size suitable for: 3-10 years old children . If you have any questions about this product by F&U, contact us by completing and submitting the form below. If you are looking for a specif part number, please include it with your message.